Top mount sand vertical filters are built to be tougher, longer lasting and better performing. Constructed of polyester resin and non-corrosive extra-thick fibreglass filament winding, all internal components and connections are injection moded PVC. Top mount sand vertical filters are built to be tougher, longer lasting and better performing. 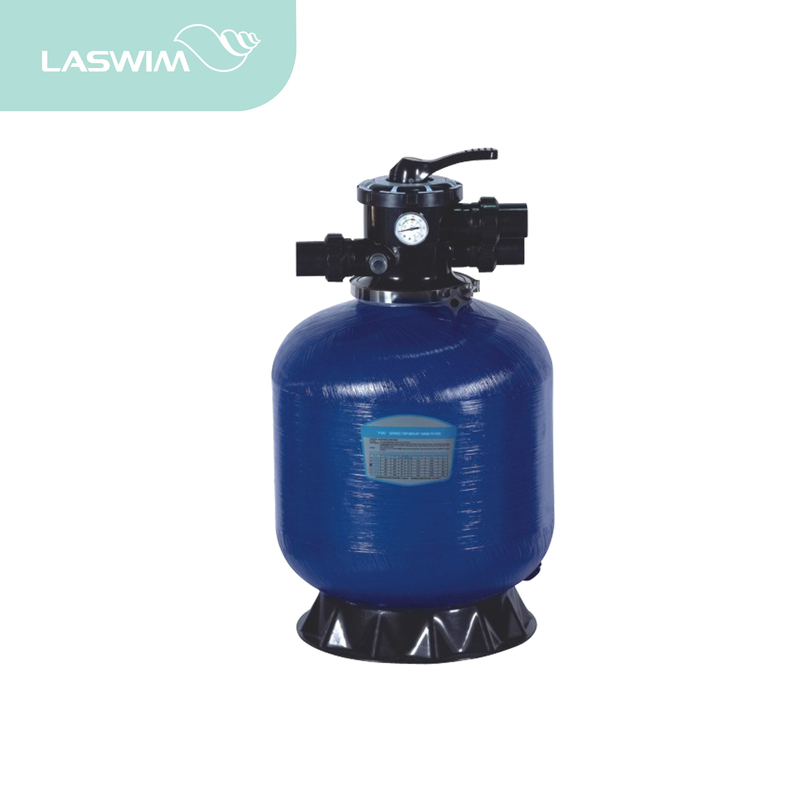 Constructed of polyester resin and non-corrosive extra-thick fibreglass filament winding, all internal components and connections are injection moded PVC. UV-resistance surface allows working under sunshine. Easy-to-use six-position valve makes you select any of the valve/filter operation in a proper way. FILTER (Normal filteration and vacuuming). BACKWASH (Clean filter by reversing the flow). RINSE (Used after backwash to flush dirt from valve). WASTE (By-pass filter, used for vacuuming to waste or lowering water level). 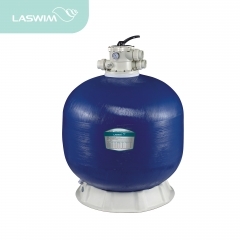 RECIRCULATE (By-passes filter for circulating water to pool).